for $599,999 with 4 bedrooms and 2 full baths, 1 half bath. This 2,500 square foot home was built in 1989 on a lot size of .35. This Meticulously Maintained Colonial W/Contemporary Flair Feat. An Updated Granite Eik W/Porcelain Flooring, Formal Dining Room, Large Family Rm W/Fp, Updated Bths, Vaulted Ceilings, Skylights, Hi-Hats, Beautiful Master Br Suite W/Wic, Master Bth W/Soaking Tub & Separate Shower, Main Floor Laundry, Cac & Igs! Set On Gorgeous Flat Park Like Property W/2 Tier Decking! 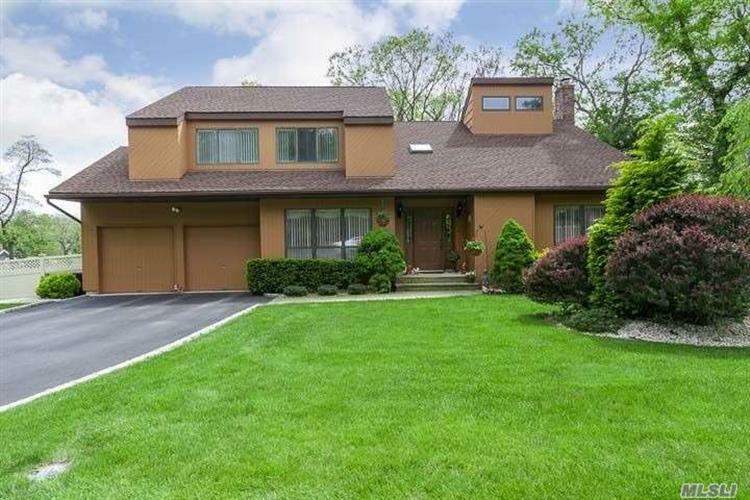 Desirable Smithtown Pines Neighborhood-Convenient To Parkways!